Conventional incandescent light bulbs are starting to vanish from the market. Some recently formulated energy-efficiency regulations intended to kick out old-fashioned bulbs from the lighting industry. Though most bulb manufacturers are fighting hard to get a court order stopping the regulations from taking effect, it looks like customers will soon have to choose between sophisticated light-emitting diodes (LEDs) and those oddly shaped fluorescent lights. Of course, the bulbs won’t just vanish like that, it will take some time. Vendors will be allowed to finish off their old stock, but they won’t be in a position to sell any incandescent bulbs manufactured after 1st January 2018, that do not meet the current standards. Back in 2007, George W. Bush approved an energy bill that strengthened lighting efficiency standards. By then, this wasn’t a big deal. 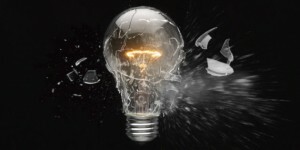 What the bill meant then is that manufacturers would gradually need to phase out their traditional, power-hogging light bulbs and switch to something sleeker, like CFLs or fluorescent lamps, beginning 2012. According to law, CFLs and LEDs plus other energy-efficient bulbs help minimize power-plant emissions and also saves consumers huge amounts of money. It’s estimated that if every American household swapped out one traditional bulb for a more advanced lighting fixture, it would be the same thing as removing 800,000 cars from the road. Perhaps there are numerous ways of reducing emissions, but most Republicans oppose the idea of carbon taxes and other related stuff, which means that inept regulations and guidelines are the only things which attract political support. 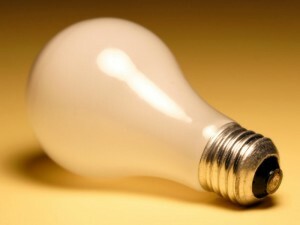 The new regulations required that the screw-based light bulbs should meet certain minimum energy-efficiency standards. This would make them 3 times more efficient than conventional bulbs as of 1st January in California. And there isn’t no halogen or incandescent bulb available on the market that meets that level. Consumers will only be left with the option of choosing between LED and CFL lighting fixtures. After selling off their left stock, they’ll have no other choice but to stock their shelves with modern bulbs that meet the new and stricter environmental standards. Those designing and selling lighting fixtures have long known about this change and they have responded by offering an extensive range of energy-saving light bulbs which conform to the new standards. They are also finishing off their production of incandescent bulbs. 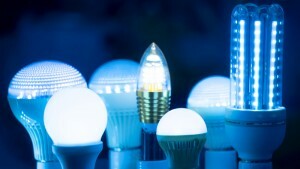 These standards are mostly applicable to medium screw-based lighting bulbs that are commonly used in homes and business buildings, such as the pear-shaped bulbs utilized in tables as well as floor lamps, the candle-shaped lamps used in chandeliers/sconces, and the glob/round bulbs utilized in bathroom vanities. Finding a replacement: Will it be easy? A wide array of energy-saving light-emitting diodes (LED) bulbs that come in different shapes and light output levels are already available on most retail shops across the state. Such bulbs are manufactured by renowned lighting companies such as Sylvania, Philips, and GE plus other newer lighting firms like Cree, Maxlite, TCP, and Feit. California’s regulations on light bulbs currently exempt certain bulb types, such as those commonly used in ovens. You have pulled out numerous stops–just to make that house, building, backyard and its surrounding of yours look superb. So, why let all your labored work go in vain when, with a glide of a switch plus some strategically positioned landscape exterior lights, you can confidently roll back the dimness and let the display do the talking? When done right, exterior lightings can turn your environment into a bliss. They help highlight any home’s architectural features—something which will obviously draw attention to the backyard. Whether you are looking for architectural or even security outdoor lighting, the right systems will definitely provide that visual oomph in addition to a safety boost to your home or business building. 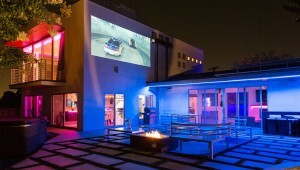 There are so many reasons that can prompt you to light your outdoor area. The most obvious one being safety and security. The lighting requirements for a parking lot is dependent on traffic. However, this shouldn’t worry you because recommended illumination levels can be obtained from the Illuminating Engineering Society (IES). Carefully observe its suggestions to avoid possible insecurity issues. Safety: Safety means staying safe from tripping over an obstacle or walking into a tree and the required light levels for this are actually very low. One can see quite well in the moonlight and that’s just about 0.02 foot-candles. Security: On the other hand, security refers to protection from people and threats. To achieve a considerable sense of security for your property, you’ll need to boost outdoor artificial lighting. If you are in the garage or parking area, you need to know if someone is plotting to mug you. You also need facial recognition to choose between fight and flight. And picking such visual cues requires an illumination level of 3 foot-candles. A safe outdoor is very important to any home, building or organization, so be keen to provide sufficient lighting in the exteriors. 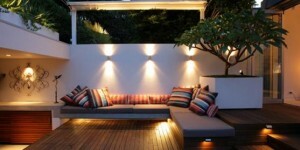 The other reason for enhancing your outdoor lighting is aesthetics. Remember, lighting is an important feature of attracting renters to your property. So, it should be taken seriously. You want to ensure that your building looks open and inviting, just like a community beacon. Illuminating outdoor spaces entails paying special attention to light fixture position, intensity, and color in addition to duration. When properly combined, these factors will surely realize the right lighting design that is capable of achieving safety, efficiency in terms of energy consumption, and cost reduction. Exterior lighting is effective at giving dimension to any building plus the surrounding landscape. 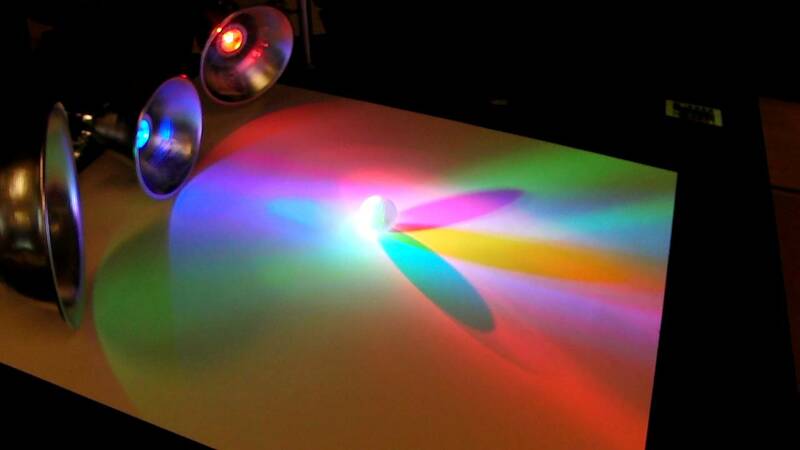 However, they are not all about flooding your surfaces with light. You should highlight small. This means highlighting a few structural parts with a vivid spotlight. Showering the walls with twinkles of light can create a dramatic effect, giving the exterior a different appearance at dusk. However, when designing your exterior lighting fixtures, consider the texture, brick & stone color and steelwork. Rather than simply lighting your exterior space with ordinary bulbs, use architectural lighting to brighten it up and add some elegance. But, take caution not to create glare or light pollution. Also, consider other users (for instance those inside) since badly placed lighting can cause glare-related problems to other building users. Façade lighting is not about numbers. Of course, engineers will compute the vertical luminance, luminance plus uniformity values for your building—however, that isn’t the prime goal. You need to make numerous non-engineering decisions. For instance, determine if you are intending to let the building blend in /stand out. Are you after a subtle or “in the face” effect? Which colors do you want? Making your building look “wow” is down to your aesthetic judgment. In case you are unsure about your decisions, consult an exterior lighting designer, an architect, or planner about your target effect. Remember, it’s always better to highlight certain parts of the building as opposed to flooding the entire façade with uniformed light. Light Level, also referred to as Illuminance, represents the amount of light that is measured on a surface (which is plane). Or, it can be described as the total luminous flux incident that strikes on a plane surface. 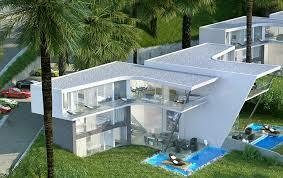 It is measured per unit area and is commonly known as LUX. 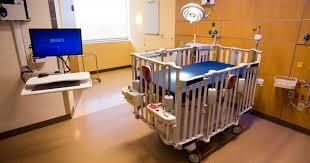 LUX, also called DIALux is increasingly becoming popular in the modern world. You can now plan in DIALux with great luminaires from the world’s most renowned manufacturers and enjoy ultimate freedom in the lighting design process. Featuring professional light planning, LUX is extremely simple and effective. It utilizes the latest luminaire data and state-of-the-art software that’s always available for free. The colored light scenes with light emitting diodes (LED) are energy efficient and guarantee excellent illumination for all your buildings including outdoor spaces. The level of lighting in the outdoor is approximated to be 10,000 lux, albeit on a normal, clear day. However, for a building, especially in the areas that are closer to windows, the LUX levels may possibly be reduced to 1,000 lux. On the other hand, the middle area may register a 25 – 50 lux. 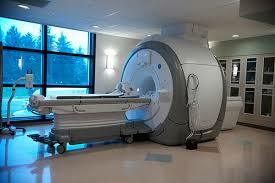 Consequently, you may need additional lighting equipment to compensate for these low levels. For precision & detailed works, the level of light may range between 1500 to 2000 lux. In homes- The recommended illumination levels for homes is often 150 lux. The living and dining rooms may work pretty well with about 25 to 50 lux. Supermarkets- Working spaces like supermarkets and mechanical rooms require light levels of about 750 lux. In offices- The normal workstation requires 500 LUX while the ADP area and conference rooms require 500 LUX and 300LUX respectively. The auditorium requires 150-200 LUX while the training room and internal corridors should be supplied with 500 LUX and 200 LUX respectively. The table below represents the light levels for different workspaces. The effectiveness of illumination is usually affected by several factors, including light quantity & quality, contrast, amount of flicker, shadows, and intensity of glare. To optimize illumination in security, emergency, and safety situations, consider adjusting each factor differently. Lighting standards also play an important role in the design, installation, durability, and efficient distribution of illumination. Illuminance is measured in foot candles (ftcd, fc, fcd) or lux (in the metric SI system). A foot candle is actually one lumen of light density per square foot; one lux is one lumen per square meter. Illumination is calculated using the formula = Ll Cu LLF / Al (1). In this formula, I denotes illumination (measured in lux, i.e. lumen per m2), Ll represents lumens/ lamp (i.e. lumen), Cu is the coefficient of utilization, while LLF is light loss factor and Al is the area/ lamp (measured in m2). Glare can be categorized into two groups: discomfort and disability glare. The level of discomfort glare can be measured by determining the glare index in accordance to the UGR method. This is often graded on a scale, which ranges between 13 and 28 where the greater the glare index the greater the degree of glare. The smallest variation in the glare index designating a significant difference is three. A well-balanced luminance is essential to boost visual clarity, effectiveness of the ocular functions of the eye, and contrast sensitivity. You should always avoid high luminance which can cause glare, intense luminance contrasts that may cause visual tiredness, and low luminance contrasts, which trigger a staid atmosphere that doesn’t stimulate. Do Energy Saving Light Bulbs actually save you money and energy? There is always a lot of speculation over whether or not energy saving light bulbs actually do what they’re named to do; save you energy! With the increase in climate changes and global warming, it is becoming more and more essential to do what we can to prevent climate change from worsening and to protect our world from any further destruction. An energy saving light bulb, or a compact fluorescent light bulb as it is also known was originally designed to replace incandescent bulbs which have previously been banned for not being energy efficient enough. 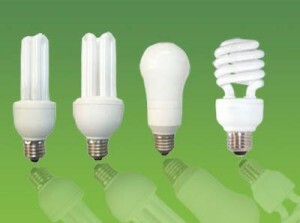 CFL’s used a tube which is curved and folded to fit into the same space of an incandescent bulb. There is a saying that says if you want to change the environment start by changing a light bulb; now one might think that this is ridiculous and wouldn’t actually work but you can’t knock or question figures… A study has been carried with results which suggest if every household changes just 1 light bulb to an energy saving one, we would save £1,300 billion pounds! It would also save the equivalent of taking 7.5 million cars off the road. To think of it in numbers like that, you just simply can’t argue it! In just two months you will recover the cost of CFL lights and thereafter you will start savings in your energy bills. Many can be sceptical because the price of the bulbs to buy initially is actually higher which can put people off to begin with, but over the course of their lifetime, each bulb can actually save over 5 times their original purchase cost. To mention even more savings, an energy saving bulbs lifetime in comparison to an incandescent bulbs is 12 times longer! Incandescent bulbs lifetime is usually 750-1000 hours which is the equivalent of 5 months use, CFL’s can last up to 6 years. Just think of all the savings! You may be thinking, but if they save energy and money they must be compensating somewhere for it – maybe they don’t have the same brightness of light or even the same colour of light. I’m sorry but at the same time very proud to say that they give off the same amount of light! When you buy energy saving bulb, just make sure you look out for lumen rating! This is the rating which indicates how much light a bulb gives off. The wattage of a CFL is usually a quarter of that of an incandescent bulb; for example, when you are looking for a 60W bulb, it will most likely be a 15WCFL lamp you will be wanting. With regards questioning whether or not they have the same colour temperature of light, yes they do! CFL’s are available in the same amount of variations, sizes and shapes as incandescent bulbs – so much so they are even available to be purchased in dimmable and have the options of indoor or outdoor lighting! In fact, when Tony Blair was Prime Minister, he made a statement of using a CFL in the outdoor light of 10 Downing Street to show that even the government was making an effort to save our world physically too. Sadly, yes there is a negative of compact fluorescent bulbs, which is because of their design, the way they work and are made the bulbs contain mercury. Mercury is a toxic heavy metal which can cause serious health problems if it is inhaled or ingested in large doses or over long periods of time. 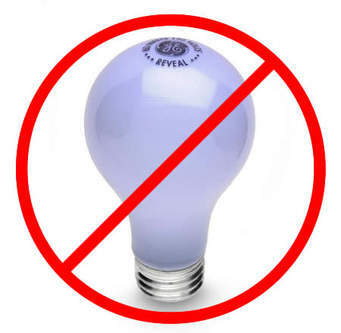 CFL’s only contain 5mg of mercury and when the light is in use this wouldn’t be inhaled so there is no fear for harm, but obviously it is recommended that these bulbs are recycled to prevent any toxicity leaking into landfills and causing the damage we are trying to prevent from using them. This seems like such a small price to pay though for saving so much money elsewhere! The fact that these bulbs have to be recycled almost didn’t feel like it was worth a mention! 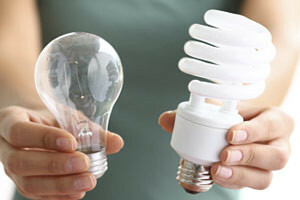 CFL’s use two thirds less energy than standard incandescent do. They provide the same amount of light and can last up to 10 times longer. 70% less heat is generated from CFL’s which makes it safer to operate. So what are you waiting for? 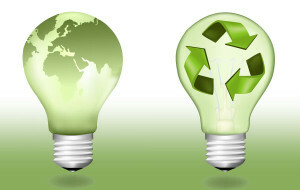 Switch to energy saving bulbs, save money, energy and help the environment! 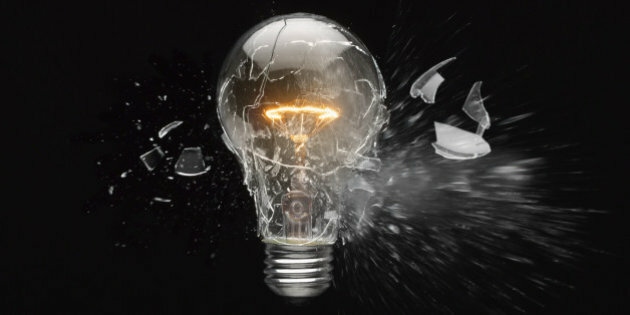 The Light Bulb Ban- UK ahead of EU! It has been over 100 years since Thomas Edison invented the incandescent light bulb which orchestrated a step change in technology and peoples life styles. In fact the year was 1879 and this fabulous invention has really stood the test of time and is only now being superseded. But the Edison name will live on not only as the inventor, but will stay with the screw fitting light bulbs whose fittings are code names ES of SES ( Edison Screw or Small Edison Screw). 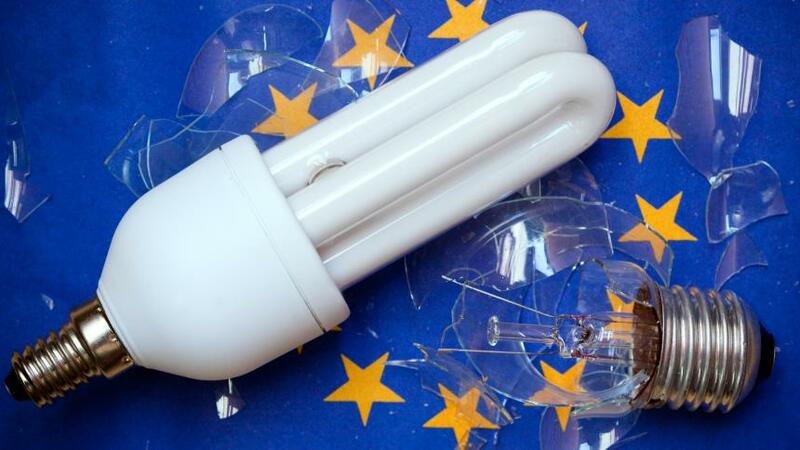 It is in fact the environmental pressure that has ultimately led to the demise of the incandescent bulb and the environmentalists have worked with the government, manufacturers and the EU to put in place the plan. The case is fairly water tight as eliminating the incandescent bulb will save between 2 and 5 million tonnes of C02 per year in the UK and in the region of 20 to 50 million tonnes per year across the EU. All 75 W clear incandescent light bulbs phased out. Phase-out of 60 W clear incandescent lamps. The rest of clear incandescent lamps phased out, that is, 40W and 25W. As to whether you think that this accelerated transition is a good thing will be dependant on your standpoint. Clearly the environmentalists are very much in favour but some people who still are living on the memory of the old energy saving light bulbs are still against. Can you remember those early CFL’s which took ages to get to full brightness and were really big and ugly? However, thankfully the technology has advanced in leaps and bounds and the modern energy saving bulbs are really very good. Also clearly if you really need say that 40W incandescent bulb, because in your application the bulb must come on immediately, and the UK participating retailers have stopped selling them then you can seek out one of the retailers who are still working to the EU timing. Now there is also one other interesting point which some people can view as a loop hole. Bulbs classified as rough service bulbs, at present are exempt from the ban. These are the bulbs which you would typically use in an extension light in a garage which if you used a standard light bulb would fail every time you gave it a small knock. These come in 60 and 100W sizes and the ruling for retailers is they must clearly be classified as rough service light bulbs and not intended for household use. So if you really need one or you have an application in the garage that suits then this could be a way forward. But first of all check that you cannot use a small full spiral CFL as good ones these days are pretty compact and certainly far more resilient than the traditional incandescent light bulbs. In a previous post I reviewed the impact of changing from traditional filament incandescent light bulbs to energy saving light bulbs on the carbon footprint. In broad terms then if you use a 100 watt bulb for 4 hours a day then changing this single bulb to an energy saving light bulb will save around 100kg in C02 emissions!! Now you might quite correctly say; ” Is that significant? ” or indeed “Is that worth worrying about? ” or ” Well if I just start walking the children to school is that not better?” . Here I will try to put this into perspective so you can make an educated judgement yourself. The reason a light bulb has an effect on your carbon footprint is because electricity generation is normally gas or oil fired and this produces a significant amount of C02. So the obvious question is why do we not compare the C02 generated to private and public transportation which certainly for cars and planes results in the direct emissions of C02 into the atmosphere. So lets say for example that you own a Ford Focus C-Max 1.8 (125PS) built in 2005, which is a fairly decent family car. You would need to drive this vehicle for approximately 330 miles for it to emit 100kg of C02 into the atmosphere. So comparing that to your single light bulb you would need to stop driving the car of the order of 1 mile per day. Public transport is certainly a more efficient way to travel from an environmental perspective but the calculation is more complex because it clearly depends on how many people are on the train and the efficiency of that particular train. However accordingly to published statistics you would need to travel of the order of 1000 miles on the train for 100 kg of C02 to be created. Planes certainly create a lot of C02 but they are a relatively efficient way of transport from a C02 perspective when they are full when compared to the passenger car. To create 100kg of C02 you would need to fly from London to Manchester and back. So that looks at the transportation comparison but you might say for example “Well should I stop using my dishwasher as often or certainly make sure that it is always full when I turn it on?” To look at this we need to compare the electricity consumption of these appliances to your electric light bulb. The 100 watt light bulb when used for 4 hours per day will consume 146kW of electricity in a year which would cost £19, assuming you pay 13p/ kWhour for electricity. A dishwaher will use around 2kW for each use so if you use it once every 5 days then this uses the same amount as your 100 watt light bulb. A washing machine uses around 2.5kW for each use so in a similar way of you use this once every 6 days then it will use approximately the same amount of electricity as your 100 watt light bulb. Now this is quite stagering and really emphasises how much electicity traditional light bulbs use and whilst it does make sence to use your washing machine and dishwasher effectively you can make a far more significant impact by changing you light bulbs. When it comes to transprotation I will let you be the judge but hope this data should help you in making a more informed choice. Has the mailing of free energy saving light bulbs to consumers worked? In 2008 the government put in legislation so say that energy companies must put in measures to make consumers more energy efficiency and to assist people of low income in obtaining the necessary energy resources to heat and light their homes. The energy companies could address this matter in different ways to meet the targets that were set. The way most chose to adhere to the legislation was to send out thousands of low energy CFL bulbs. The plan here was to enable households to improve their energy efficiency and as a consequence to reduce the levels of CO2 created in the generation. This worked in part but there have been some flaws in the approach. Firstly, the supply of light bulbs exceeded demand and some 12 million were issued over the 2009 Christmas period and a lot were of low wattage and unsuitable for peoples requirements. As a result many light bulbs have remained in peoples draws and as a consequence will not contribute to energy efficiency and potentially have the adverse effect of increasing landfill ! Now energy experts say that there is a much better way than mailing out CFL light bulbs to address this situation to ensure that the environmental benefits are realised and that is to insulate peoples homes. This way it is assured that the CO2 emmisions will be saved and householder could then select the most appropriate light bulbs for their needs. To understand why this approach was not taken we need to look at the figures from the government. A low energy bulb costing £2.97 will save 0.04 tonnes of carbon over its lifetime. Conversely insulating a typical 3 bedroom house costs £8760 and saves 18.08 tonnes of carbon. This means that the energy companies have been able to meet the criteria by mailing out 452 bulbs which has only cost them £1342 making them a huge saving in meeting the targets. In addition energy companies have been able to put the energy saving light bulb costs on to consumers bills which is reported to have increased peoples annual electricity bills by around £100! The Department of Energy and Climate Change have now picked up on this bad practise and thankfully banned the mailing of these light bulbs to achieve the carbon emmisions targets and have given the companies until mid 2010 to wind down the schemes. So are we any the wiser for this initiative? Well one thing is for sure. If you analyse the figures then they prove that the migration from traditional incandescent bulbs to CFL’s is a more cost effective way for consumers to reduce CO2 emissions than home insulation but only if it is approached in the correct way. So purchasing energy saving light bulbs is definitely the right thing to do, both to save money and the environment, but make sure that they are the correct specification for your needs and make sure that you use them. How much CO2 does a light bulb create? You might well be confused by all this talk about Carbon Dioxide (CO2) and light bulbs. Why do the government and environmental authorities say that the move to energy saving light bulbs is so important and why has legislation been put in place to progressively ban the incandescent light bulb. Some people say, a light bulbs is a sealed glass unit so how can it produce any CO2 anyway? Well it is not the light bulb itself but it is the CO2 created in the generation of the electricity that the light bulb consumes. Now clearly the amount of C02 created will depend on the type and the efficiency of the power station which is worst for coal power stations but if your electricity is generated by wind power then your light bulb will not be responsible for creating any CO2 at all during its operation. But right now the majority of electricity is generated by coal powered stations so lets look at the figures for those. Now when you consider that a typical commercial electricity generating station would be 500 Mega Watt capacity then it is clear to see that the burning of coal produces massive amounts of pollutants. Then looking at CO2 in more detail, if you had a 100 watt light bulb and left it on all year then the generating station would create 750kg of CO2 during that year. Now it is unlikely that you would have a light bulb on continuously by lets say you have the light bulb on for 4 hours each day then that is still responsible for the creation of 125kg of CO2. So that means that if you change your light bulb for an energy saving CFL which will only consume 80% of the energy then you will help save the environment by reducing CO2 emissions by 100kg every year. Then to put this in perspective in 2007 around 19% of all electricity generated was used for lighting purposes which is a very significant proportion. This means that a reduction in energy consumption in lighting has a major impact on overall CO2 emissions. The other key fact to put this into perspective is that electricity generation account for around 70% of the CO2 emissions for cars and three times the total emissions from aviation as quoted by the International Energy Association (IEA). Clearly with these statistics then the migration from the incandescent light bulb to the energy saving light bulb will be a major contributor in reducing CO2 and global warming.